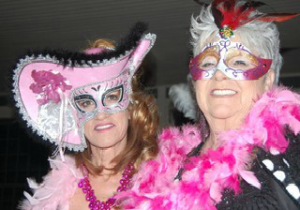 Every year, Eureka Spring celebrates Mardi Gras in its own, unique way. 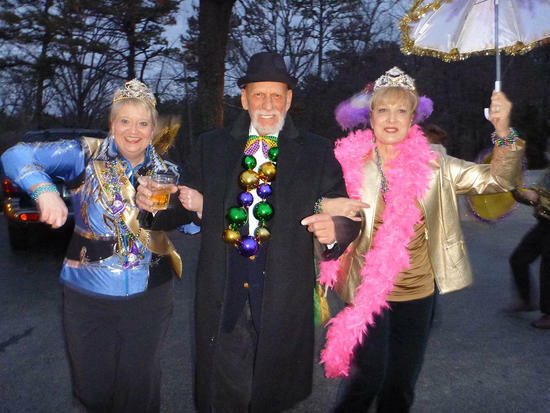 Parades, formal balls, Kings Cake celebrations….the fun doesn’t stop. 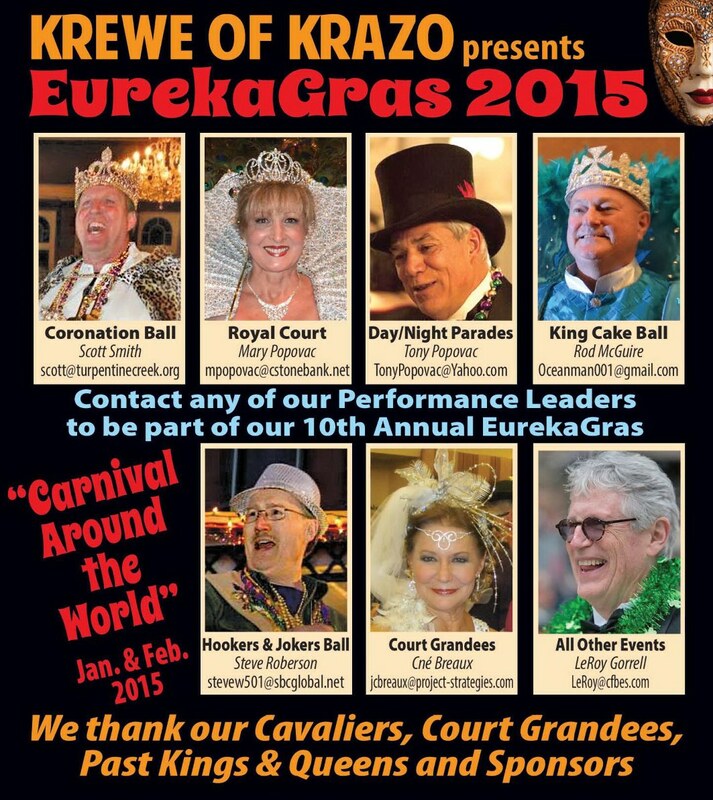 This year, Eureka Gras runs from January 10 – February 17, 2015. Join in the celebration with the only Official Eureka Gras Party open to the public…the Beaux Arts Ball. 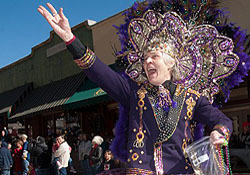 Also – catch whatever is thrown during one of the Mardi Gras parades. CLICK HERE for the official event schedule and website. If you have any questions, you can ask pretty much anyone: they will know the schedule. 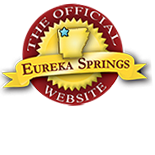 This entry was posted on January 7, 2015 by estcblog in Arts & Culture, Basin Park Hotel, Crescent Hotel, Festivals, Fun Downtown and tagged Eureka Springs, fat tuesday, festival, King Cake, Mardi Gras.